IS THIS PSK TRAINING FOR ME? The Professional Scrum with Kanban course is an intermediate/advanced course specifically designed for experienced Scrum Masters, Leaders/Managers and other Scrum practitioners who have a good understanding of the Scrum framework and are interested to learn techniques for improving flow in a Scrum context. 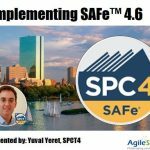 It is also a good fit for SAFe practitioners looking to improve their team-level practices and Kanban practitioners looking to add the power of Scrum. Can’t attend our NYC class at these dates? Check out our other public classes or contact us to schedule onsite training for your team. Over the 2 days, Scrum practitioners learn how to apply Kanban practices to their work. Participants will learn flow theory and Kanban principles, play an immersive Kanban simulation, build Kanban boards for their Scrum teams, learn patterns for how to infuse Kanban’s thinking and practices into the Scrum events, artifacts, and roles. There will also be time in class for the Professional Scrum Trainer (PST) to provide coaching on flow challenges that you and your classmates may be experiencing today or may in the future. What principles and practices are needed to establish effective flow in a Scrum environment. All participants completing the Professional Scrum with Kanban course will receive a password to attempt the Professional Scrum with Kanban (PSK I) assessment. These industry-recognized certifications require a minimum passing score. It ain’t easy. Your Scrum.org certification will hold more credibility with employers because you don’t receive it automatically after taking a course. You must pass the certification exam. Your PSK training gives you an excellent shot at achieving certification. 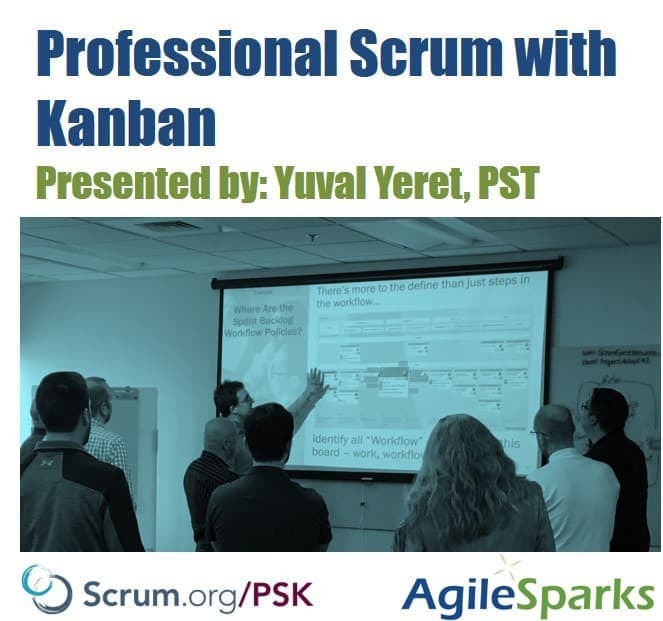 Our lead PSK trainer – Yuval Yeret is one of the creators and stewards of the Professional Scrum with Kanban curriculum. Yuval is helping teams complement Scrum with Kanban since 2009.